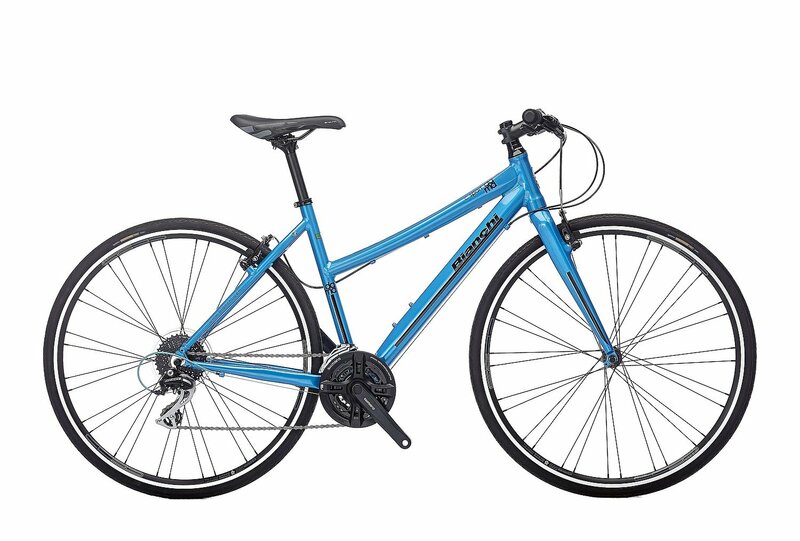 The C-Sport Dama is the ultimate flat bar road bike. Borrowing design cues and handling elements from our Impulso and Via Nirone performance road models, the C-Sport Dama has the spirit of a true racing bike with the control of a city bike. Its lightweight, hydroformed aluminum frame delivers quick acceleration and precise handling while its carbon fiber fork dulls the vibration from road or trail, creating a comfortable ride for long hours in the saddle.